Infinite Backlog: My fight money! 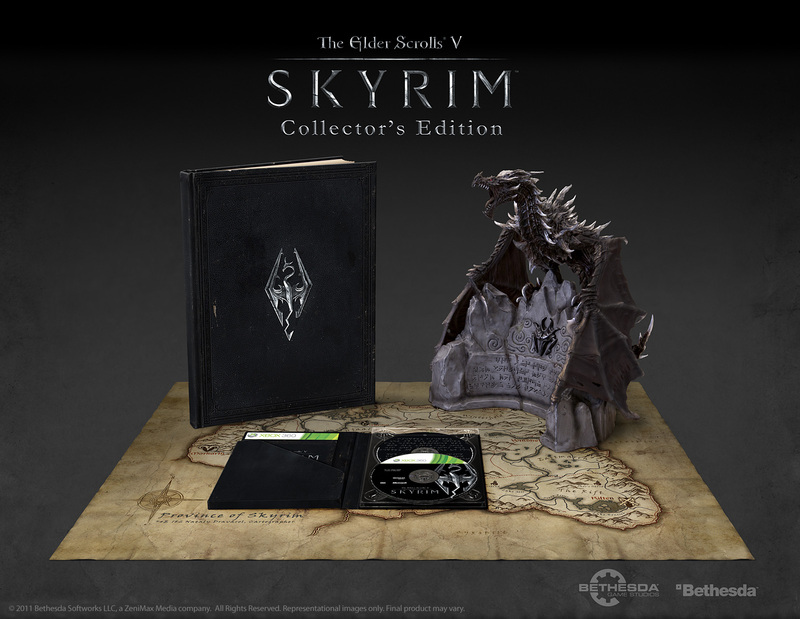 I always knew there was going to be a collectors edition of Skyrim. 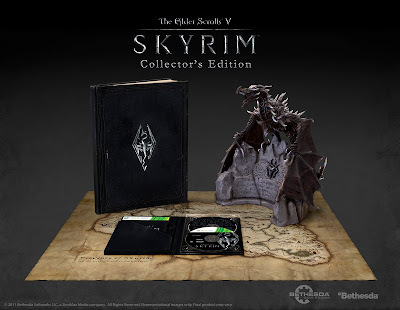 Oblivion's ultimate packaging was excellent for it's time (I still have my royal septim), but the amount and quality of swag has been increasing lately as publishers struggle to find more ways to soak every last drop of income out of people who actually buy games instead of just renting them. And yes, I am aware that I am part of that problem. There are in game bonuses, out of game bonuses, and even entire parts of the game that used to be standard issue locked away unless you bought the game and input the magic code it came with. Expectations are high for Skyrim, and I will admit that the first thing I saw when I looked at details that were announced was the price tag. God damnit. Art book, cloth map, making of DVD, pretty sweet looking dragon statue. All it's missing is some horse armor. I was going to trade in Mortal Kombat and sell by Rock Band pro-guitar anyway. Played a little for Street Fighter during the day yesterday. Competition was about what your would expect for a Friday afternoon, but I will never tire of bad Akumas who don'r realize that up EX-ball goes through air fireballs and does a fair amount of damage.